Jay Arthur is a renowned expert in Lean Six Sigma and productivity. For the last twenty-five Sigma. Jay Arthur has helped companies large and small save millions of dollars using the Magnificent Seven Tools of Lean Six Sigma. 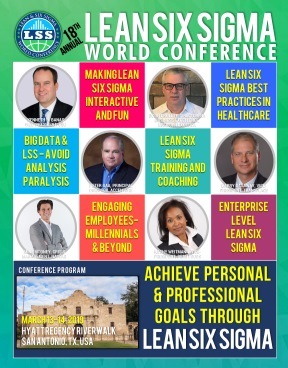 Jay is the author of many books including Lean Six Sigma Demystified 2nd (McGraw Hill, 2011), and Lean Six Sigma for Hospitals 2nd (McGraw Hill, 2016). He is also the owner and president of KnowWare International, which provides consulting, training and the QI Macros SPC Software for Excel. Jay has a Bachelor of Science Degree in Systems Engineering from the University of Arizona, is an active member of the National Speakers Association.